What is convergent evolution? - READY... SET... QUESTION! My question is simple, What is Evolution? Most think my question has been answered and that our general populace has a good understanding of biological evolution. Sadly, most people are mistaken. As I highlighted in yesterday’s post, there is no consensus on evolution and it is no wonder why confusion has fogged our understanding of the idea. In fact, researchers and science reporters pile on more layers of confusion each passing year. For example, reporter Rachel Feltman wrote an article for the Washington Post titled, 40 million years before butterflies existed, this creature evolved with strikingly similar looks. The article speaks of an evolutionary phenomenon called “convergent evolution,” and how it explains why fossils of butterfly-like creatures exist in the fossil record before butterflies actually came into existence. Writers of scientific journals and articles like the one I have mentioned tend to dive head first into new evolutionary ideas without defining evolution beforehand. The main point of the article/scientific paper is that nature produced a butterfly-like creature 40 million years before the butterflies we now know of. The butterfly wings are the same, the patterns on the wings are the same, their mouth parts (proboscis) are the same, and the fossilized organism is for all practical purposes a butterfly. Except it can’t be. Although we do not have a consistent and scientifically agreed upon definition of evolution, there are some aspects of evolution that can be agreed upon. Firstly, most proponents of Neo-Darwinian evolution would say that relational ties are important. Meaning, the most recent common ancestor of two differing species (if found) could explain volumes about the relationship between the two said species. Secondly, WHEN a common ancestor emerged onto the scene is very important. There is a strong rule of thumb that no “higher” organisms like rabbits would be found in layers below a “lower” organism like a trilobite. Why? Because that is what evolutionary theory predicts. This is why the idea of “convergent evolution” was developed. If a fossil is found that has homologous (similar) features to an organism that it could not be related to, the researchers claim convergence. Case in point, the butterfly-like creature is said to not be related to butterflies today because butterflies did not emerge into existence until millions of years later. These two organisms have homologous features, yet cannot be related due to vast swaths of time, therefore the label of convergent evolution is placed over their similar features. shark and the dolphin, for example. When studying these two organisms it is obvious that many/most of their features are homologous. 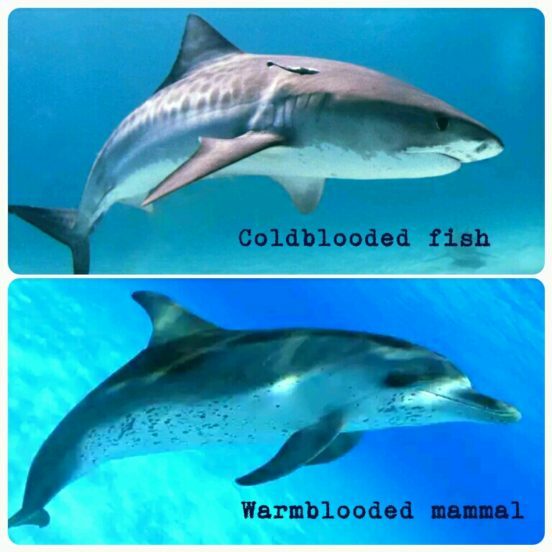 Yet, they cannot be related because evolutionary theory predicts sharks to have emerged from a water-born fish-like ancestor and dolphins emerged from a land-born quadrupedal (four legged) mammal. Therefore the label of convergent evolution is placed over their similar features. But, when do structural similarities no longer infer relational ties from one organism to another? The entire field of paleontology revolves around identifying structural similarities and then forming relational ties. When a fossil is unearthed, its structure is studied and said organism is classified by its structure. What does this mean in light of the idea of convergent evolution? Is it safe to say that the relational ties made between extinct organisms found in the fossil record are accurate? Does convergent evolution seem consistent or scientifically valuable? What is convergent evolution? What is evolution? I dive deep into these and many other questions in my book What Is Evolution? Here are some compilations of other “convergences” that don’t make sense. Previous PostWhy did I write a book about evolution?Next PostHow do kids feel about evolution? Excellent post. Where did you get those images? Did you make them yourself?